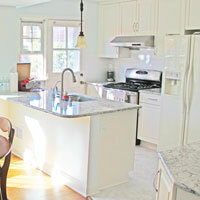 Your one-stop-shop for home remodeling! 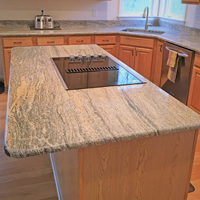 Kitchen and bath remodel not only improve the look and functionality of your home, they add value to your home. If you need help in upgrading your home, our talented, experienced designers can help. That Kitchen Place is not just kitchens. 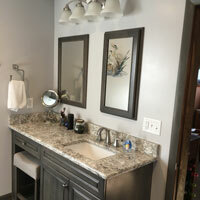 We do bathrooms, entertainment centers, bars, home offices, bedrooms, laundry, garages, and other rooms as well. We also help with lighting, tile, flooring, hardware, and whatever else is needed to make your home complete. That Kitchen Place is known for quality and customer service. We have years of experience and have built a solid trust in the community. With an email or phone call, you can make an appointment with us at the time of your choosing, including evenings and weekends. We provide free consultations and provide advice, guidance, and ideas to improve the appearance and functionality of your home. We are licensed and insured and have an A rating from Angie’s List and The Better Business Bureau. Also, check out our Facebook page! 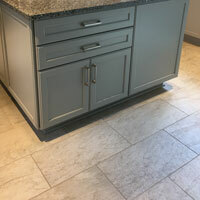 We are also contractor friendly so if you have your own contractor or plan on doing the work yourself we are happy to provide you with just the design and cabinets. "I love my new kitchen. Thanks for a great job!" "Thanks for everything! You and your crew did a great job and I will certainly refer you to anyone I know"